Isn’t life brilliant? That’s the question Vauxhall asks in its most recent brand direction. As one of the oldest vehicle manufacturers based in the UK (though it’s now a subsidiary of German firm Opel Automobile GmbH), Vauxhall has produced many different models over the years to try and make it so for drivers. With such a broad range, stretching from family-friendly hatchbacks to executive saloons, whatever life stage you’re currently at or preparing for, there’s a Vauxhall car for each one. The Vauxhall Corsa has been one of the UK’s most consistent, best-selling cars for many years now and for good reason. Low running costs, easy to drive and affordable, many models across the wide variety of Corsa vehicles offer some of the best options for new drivers. 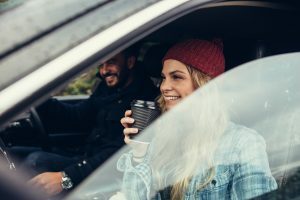 Those between five and ten years old can now be picked up for a bargain price, depending on the exact age, mileage and trim, suiting low budgets for a first car. For excellent fuel economy a 1.2-litre diesel that’s five years or older is a good choice. Insurance can be sky high for many new drivers, so it may be worth comparing with a similar 1.2-litre petrol model, as these are likely to offer lower premiums while remaining efficient. A used Vauxhall Astra is another compact hatchback that provides a little extra space compared to the Corsa, with five-door models for ease of accessibility. This is useful for students, whether heading out on a road trip or loading up to head home for the holidays or back to uni. Those from the fifth (2004 to 2010) and some early sixth generation models (2009 to 2015) can be found for well below £5,000, helping suit many student budgets. Efficient engines keep costs down too, with 1.0-litre ecoFLEX trims some of the best, especially if you mainly use it for short journeys. Stepping into the world of work, it may take a few years to save up for that car upgrade. But when you do, make it something that will truly impress in the office car park, such as a premium Vauxhall VXR8. Brand new, these cost just under £60,000, though second-hand models can be found at well under half that price. It’s one of the best Vauxhall cars out there, with a 6.2-litre V8 engine helping it do 0 to 62mph in 4.8 seconds. Far from the best family car or an economical option, a VXR8 is designed for those with cash to splash on something flash. When there’s only two of you in your family it’s a great time to indulge in a more luxury two-seater or two-door car, such as a Vauxhall Cascada. This convertible can be a fun drive, especially in the summer months, and though there are rear seats it’s best for just two. From a romantic holiday to day-to-day commuting, a Cascada allows for plenty of joy when you don’t have as many responsibilities. Options range from more economical 1.4-litre petrol engines to powerful 2.0-litre diesel ones, with some models not even five-years-old available for under £10,000. As your family starts to grow, so should the size of your car. A Vauxhall Zafira can be the best family car thanks to its roominess, comfortable ride and practicalities. Five doors and seven-seat options mean whether your family is just beginning to grow or already includes two kids and a dog with more on the way, it can be a good solution. It’s spacious, with the third row of seats able to fold down for additional room, while the engines range from 1.4 to 2.2-litre petrol and diesels. All offer a comfortable driving experience with decent handling, considering the MPV’s size. Vauxhall Meriva cars have five doors and plenty of room so taking the grandchildren out on day trips or loading up for a domestic holiday is a breeze. Plus, the latest versions feature rearwards-opening passenger doors for even greater ease of access. This compact MPV won’t break the bank when dipping into your pension fund either, with many used models for sale under £5,000. Opt for an automatic for the really easy life and enjoy decent fuel returns whether you go for a 1.2-litre petrol or more powerful 1.7-litre diesel. From these choices of some of the best Vauxhall cars you should be able to find a great choice of vehicle, whatever life stage you’re currently at.